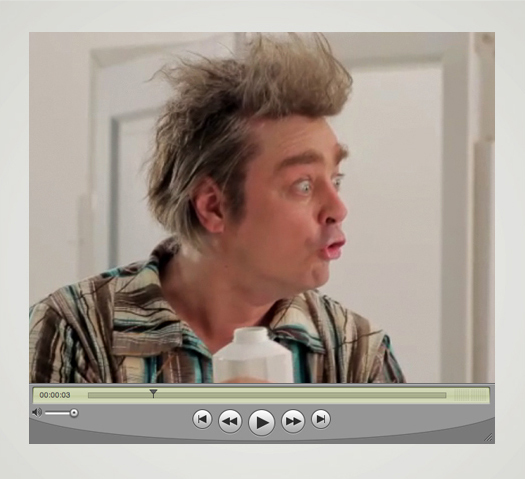 To create, design, and name an attractive and efficient brand for the first pay television channel in Slovenia. To create the architecture and related main trademarks and to design the graphic identity of individual channels contained in the package. 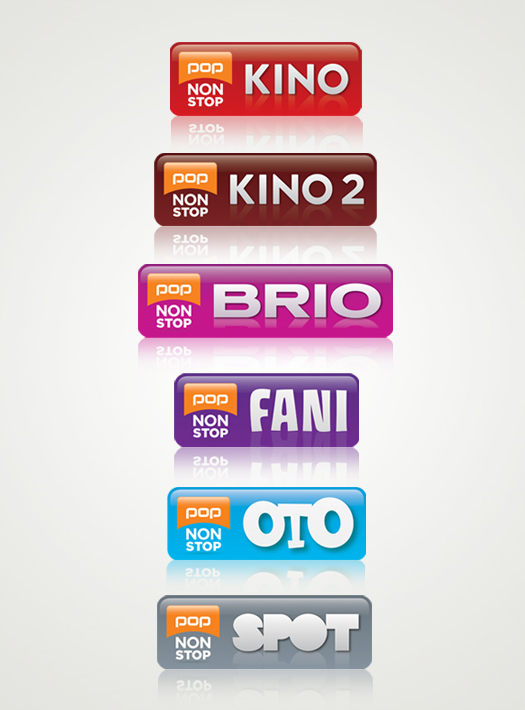 In order to upgrade the programme of the most popular television station in Slovenia, POP TV, the management has decided to introduce to their viewers the pay television package option. 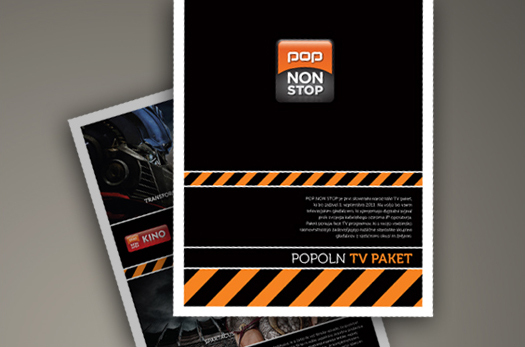 This way, an even wider palette of tastes will be satisfied by the programme of POP TV. 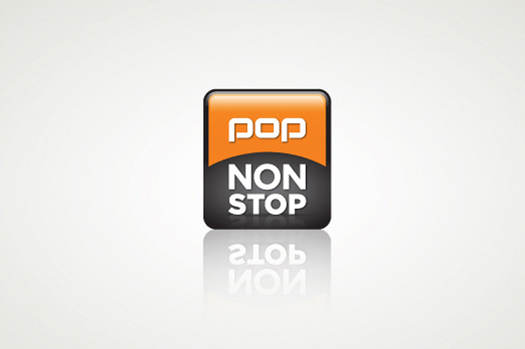 We came up with the idea that with POP TV, “First-class entertainment is always available.” By combining POP TV and the always available first-class entertainment, POP NON STOP was born.